Come in to North West Hearing for a trial of Phonak’s MARVELous new hearing aid. This new generation technology recognises and automatically adapts to precisely match more listening situations than ever before. in all models, you can enjoy better speech understanding in noise and less listening effort in everyday life. 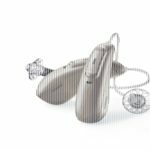 Whether you already have hearing aids and are curious to see the amazing advances in hearing aid technology; or you’ve got some hearing concerns and would like us to assess your hearing in a relaxed atmosphere with one of our highly trained audiologists, call us now on 0161 491 1943 or complete the form below.